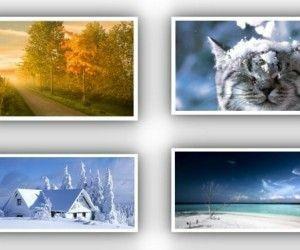 Ever wanted to make your own personal photo calendar with those beautiful wallpapers you collected from the web? Pically is a free software for making photo calendars by simply adding images for each month of the year. 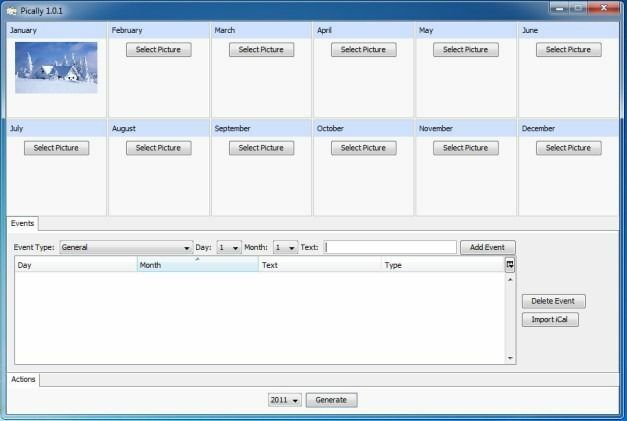 It is a cross-platform application with versions for Windows, Mac and Linux computers and comes with the most simple options for generating personalized photo calendars. 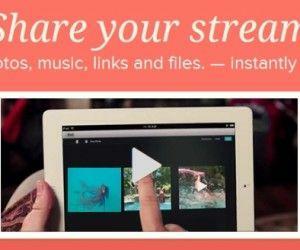 Pically is a portable application, which means that it requires no installation. 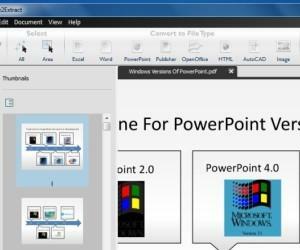 In case you require calendar templates for PowerPoint for creating presentations, see our free PowerPoint Calendar Templates. 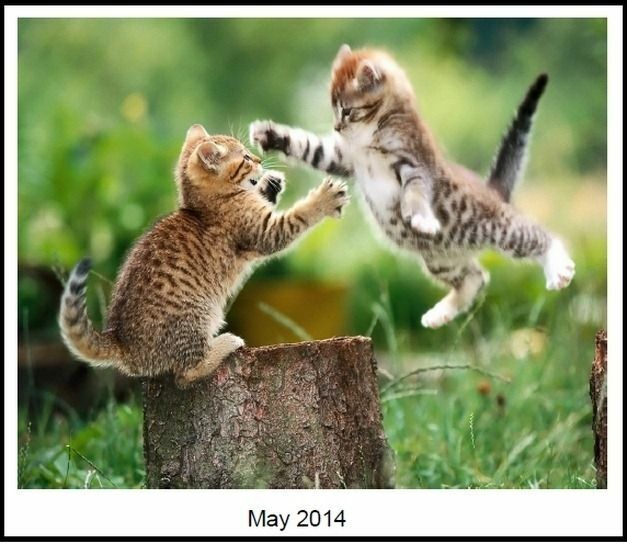 To create your calendar, simply click Select below each month of the year and pick an appropriate image. 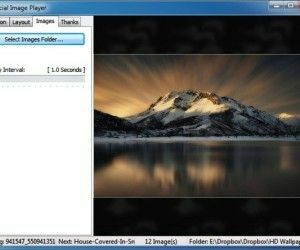 You can choose your photos from various image formats. You can also add important events to mark your calendar. 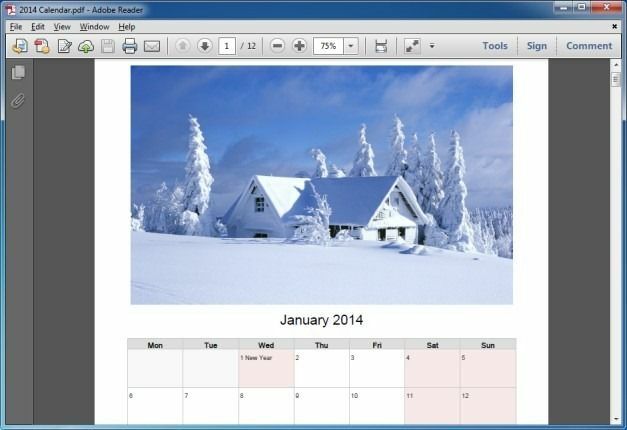 You can create your own personalized calendar that is made just for you. While you might not have heard of a calendar that comes with your wedding anniversary or birthday marked with it, however, it might not be too late to make your own. You can easily mark important event by selecting a category (General or Holiday), picking a day and month and adding Text (e.g. Wedding Anniversary, Mom’s Birthday, etc). 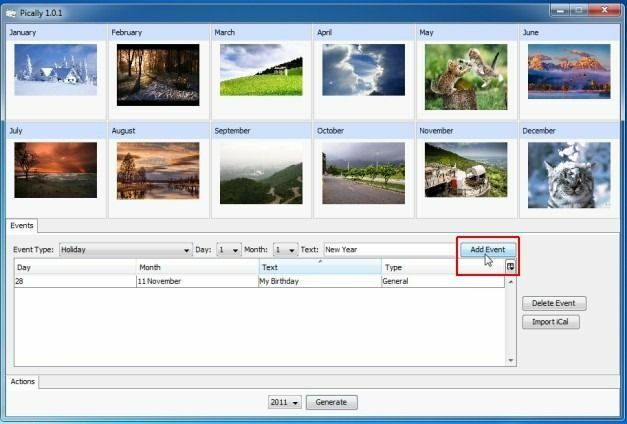 After you have picked photos and added events for the calendar, select a year from the drop down menu located at the bottom of the application and click Generate. 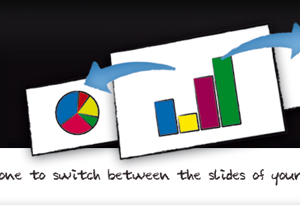 Be default, all calendars are saved in PDF format. You can convert these calendars to other formats or make use of the flexibility of the PDF format for printing the calendar. As PDF is an ideal format for printing documents, you can print your calendar pages and fasten them up to hang your calendar. 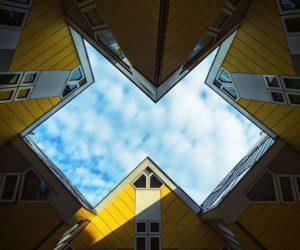 You can get really creative with Pically and use it in whatever way you may deem appropriate. or example, how about making a calendar with the pictures of your child growing up or your parents? Such a calendar can be an interesting gift for a special occasion.